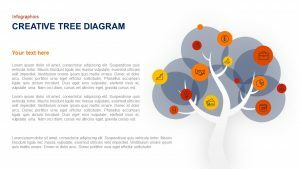 Tree Diagram templates for PowerPoint and Keynote presentation can be used to evaluate the probabilities or likely outcome of an event. 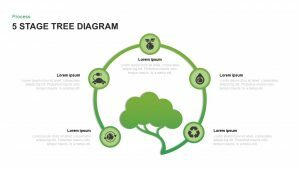 Slide Bazaar offers a range of tree diagram templates such as tree infographics, tree illustration diagram, etc. 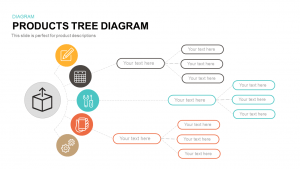 Tree diagram templates are called so because it is similar to a tree where the problem or the idea is given as the central node, and it is broken down into branches. 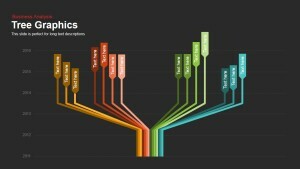 These branches terminate until a solution is found out. 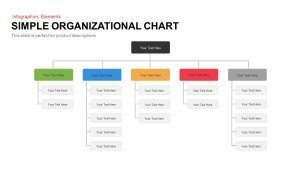 For instance, if we want to represent the workflow of a particular process or activity, we can make use of the Decision tree diagram template or describe the development of a product we have product tree diagram template. 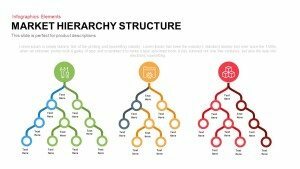 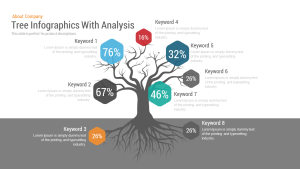 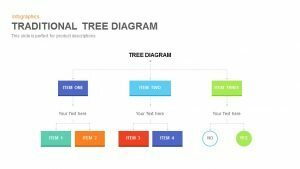 In simple words, tree diagram template helps you to break a complex idea into an easily understandable one. 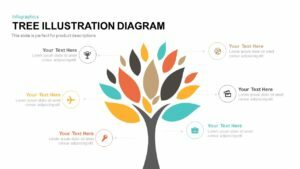 The tree diagram templates can be customized according to the user ‘s convenience by changing the color combinations including background color, or the leaves could be resized or added depending on the complexity of the concept. 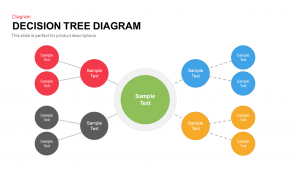 Moreover, a descriptive text branching out from the tree can add more clarity to our presentation. 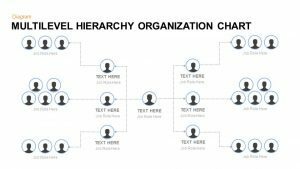 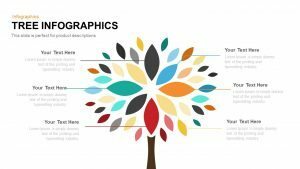 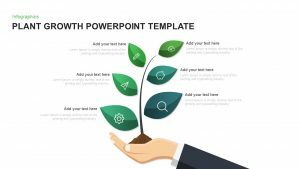 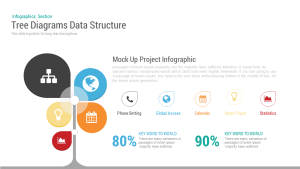 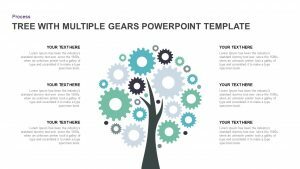 Slide bazaar offers the best premium and free tree diagram templates for PowerPoint so that you can convey your ideas in the form of attractive presentations.